Scribbling With Spirit: Sketching a Birthday Outing! Last month my sister (and my mom and my nephew) took me for a day-long surprise outing... to many of my favorite places!! Of course, I sketched it as we went. 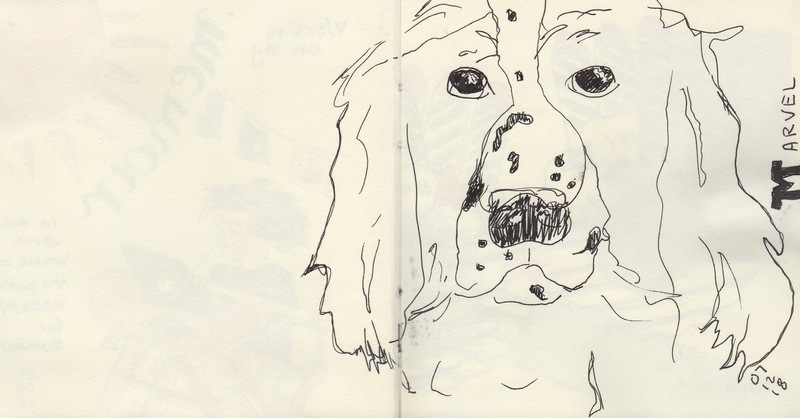 I ate breakfast with one of her lovely dogs, Marvel. 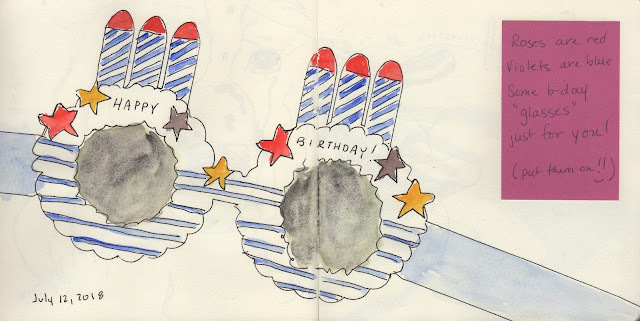 Then I opened my first card of the day, which contained these fabulous celebration sunglasses! We ate breakfast at my most favorite restaurant in the world (seriously), The Original Pancake House (not to be confused with other pancake houses or houses of pancakes). 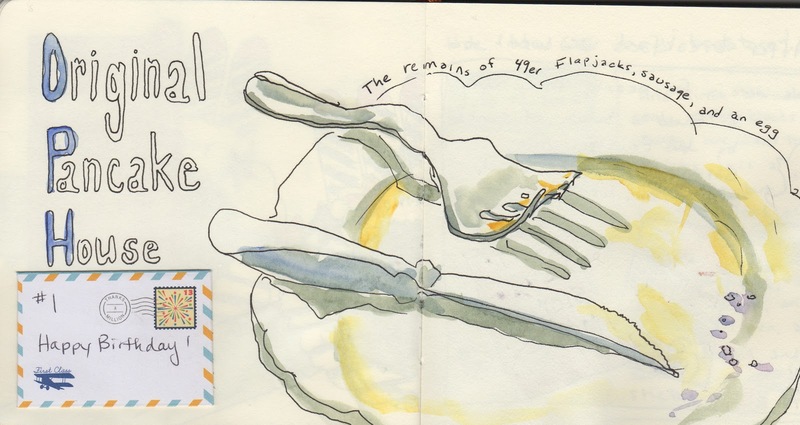 There I ate my favorite meal in the world: 49er Flapjacks, in-house sausage patties, one egg, and coffee. Fueled for the day! We spent the next three (plus!) hours in a huge used bookstore in downtown Detroit! I found a bunch of books with older comics in them. 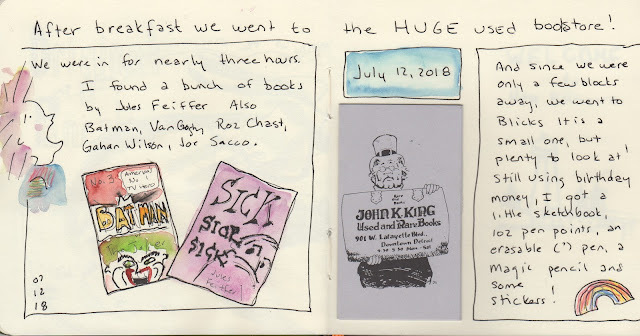 Then, with our last bits of energy, we went to the nearby Blick's. Later we enjoyed homemade Oreo cookie blizzard ice cream cake and then we collapsed. Happy birthday to me!! What a fun family! Sketching several pages to track on special day was a lot of fun. I used pen, watercolors, and some collage in a square Global Arts Handbook.